The MANDRAGORA SCREAM project – dark-gothic-rock band – takes shape in 1997 from an idea of the band’s lead singer MORGAN LACROIX. In 1999 Morgan cuts a demo CD with four tracks, titled “PromoTrack99″ at the NEW SIN studios in Italy. In 2000, Morgan is introduced to singer, guitarist and composer Terry Horn. The result of this magical artistic union is the debut album”FAIRY TALES FROM HELL’S CAVES”, Published in 2001 by German independent label NUCLEAR BLAST/CAPIRANHA RECORDS. Fairy Talesis definitely a concept album: a trip throughout the Dantean Hell, tormented by passion, anguish and insanity, where the character of Virgil is surprisingly replaced by an unusual bewitching vampire fairy. 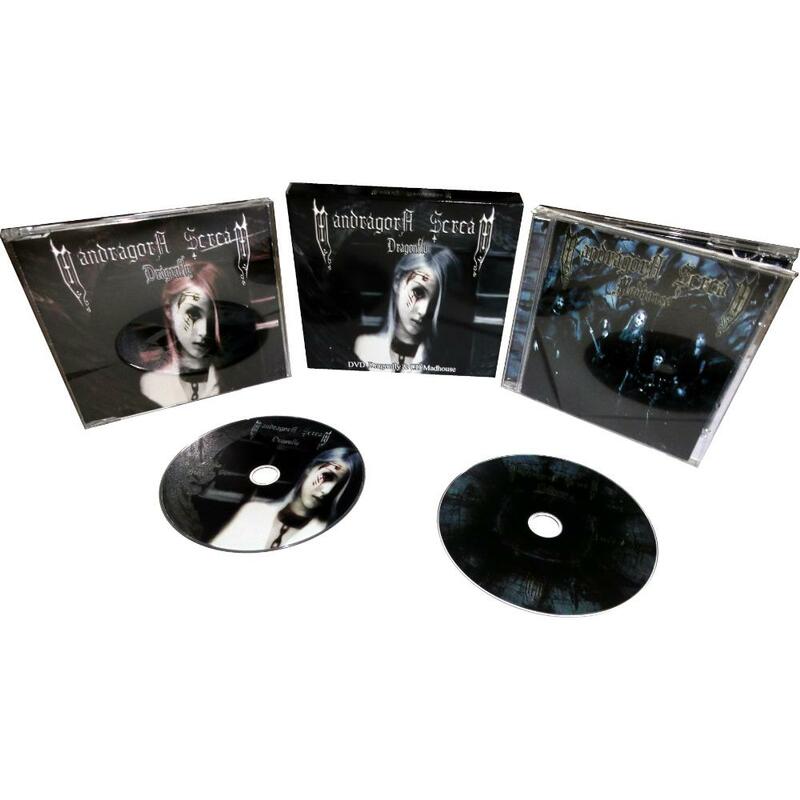 In 2002 MANDRAGORA SCREAM release their second album”A Whisper of Dew”,by NUCLEAR BLAST. Once again a concept album, centred on the enthralling vampire story purposely written for the band by Julio Angel Olivares Merino, horror-gothic literature writer and ” English Philosophy ” Teacher at the Spanish “UNIVERSIDAD DE JAEN”. Drawing inspiration from this tale, Morgan has composed the entire album lyrics. The two projects end up selling over 24.000 records on the whole and are received with stunning appraisal words from the critics, winning the consent of the greatest rock magazines worldwide. METAL SHOCK March 2003: “Fortified by the success of their debut album ‘Fairy Tales From Hell’s Caves’, both in terms of critics and audience, Mandragora Scream are finally back after two years of silence with their new ‘A Whisper of Dew’…..”.